Meet Kelsey, ALE Client Rapid Response Specialist. Kelsey is an animal lover. She fosters dogs and has recused horses with her sister. 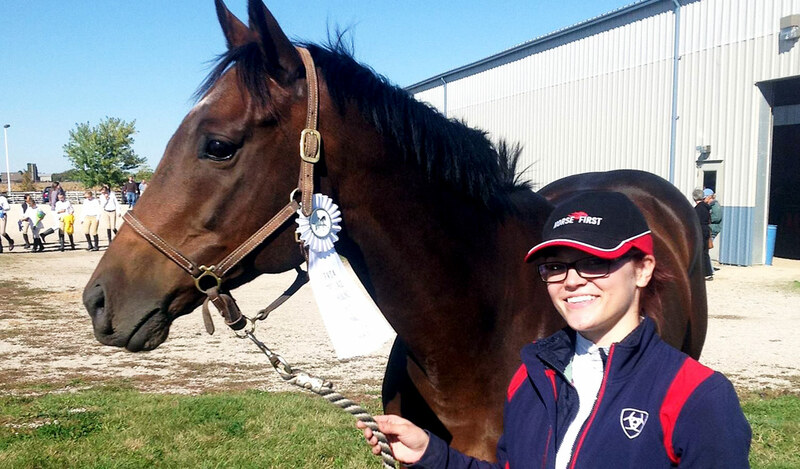 Kelsey tells us about her current horse, Dani, a 21-year-old Canadian Thoroughbred. After a long career in racing and breeding, Dani found her way to Kelsey, who worked hard to get her back into shape. They share a special bond, and together they have participated in jumping competitions organized by the NIHJA.